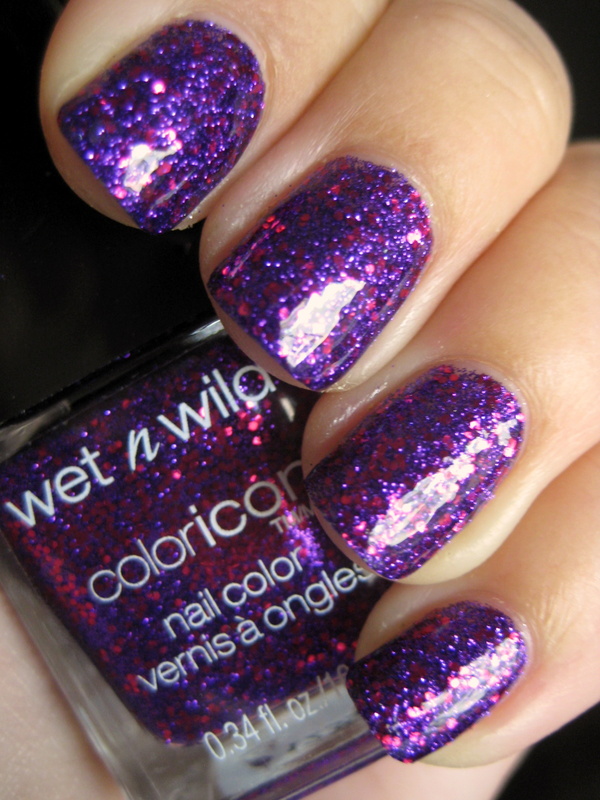 I love glitters, so when I found the Wet'n'Wild Ice Baby collection, I was thrilled. This one is one of my favorites: Back Alley Deals. It's hard to grasp just how vibrant this is without seeing it in person, but let me tell you, it is amazing! First of all, for some reason this doesn't dry as quickly as most glitters. And as it dries, it eats top coat like crazy! This is shown with a coat of Gealous with an immediate coat of China Glaze Fast Forward, and it was still lumpy. I ended up adding another layer of Gelous and Fast Forward after this pic, and it was STILL a little lumpy (though not nearly as much so). Oh well, I still think it's gorgeous. Oh! Also, check out my guest post over at Sparkly Vernis if you get the chance! It's one of my favorite manis that I've done so far! That whole collection was just great--I really hope they do more like this in future! I have this one too and mine dried really fast! I added 2 coats and it was still on my nails in the morning, but during my lunch break at work I only had 2 nails left with polish. By the end of the day all the polish was just gone :( I don't know how the other polishes will work, but this one was really disappointed me.